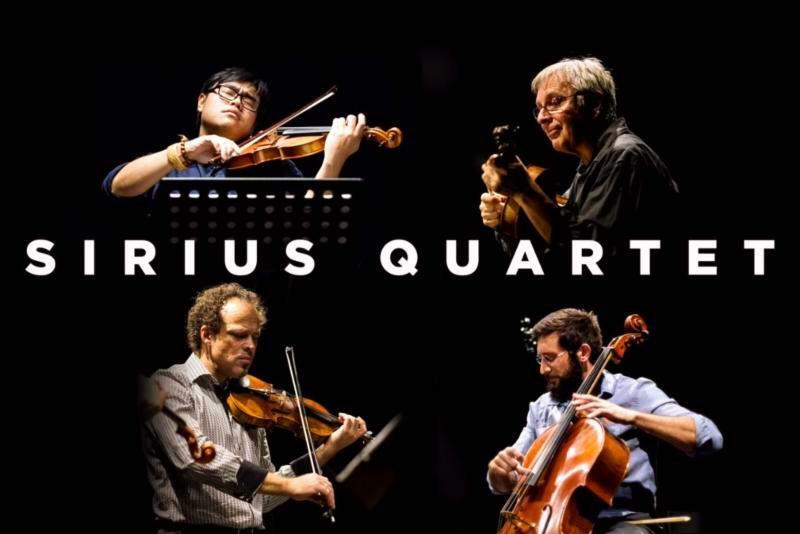 This spring, New York City's Sirius Quartet will share their highly acclaimed and inventive style with audiences across the United States. Their season starts at Sō Percussion's Brooklyn Bound Series, a unique chance to see Sirius Quartet and other new music luminaries in an intimate setting. The group will then travel to The Carlsen Center at Johnson County Community College for a special engagement featuring Tracy Silverman, formally of Turtle Island string quartet. Silverman will bring his electrically charged violin playing to Sirius Quartet's boundary-pushing compositions, and Sirius Quartet will focus their visionary interpretive skill upon Silverman's genre-defying works. This is one not to be missed! In April, the Quartet will play Wave Hill in the Bronx after the buzz generated by last season's concert demanded a return engagement. A week-long residency at The Clarice at University of Maryland will undoubtedly be a highlight of Sirius' season. While there they will work with students at UMD's School of Music, and perform a featured concert at MilkBoy ArtHouse. Find information and dates for each of these engagements below!